Published Fridays by The Gazette Inc., Dexter Maine 04930. Delivered FREE each week by U.S. Postal Standard Class Mail to all 17,000 residential addresses. Printed at Alliance Press, Brunswick Maine. 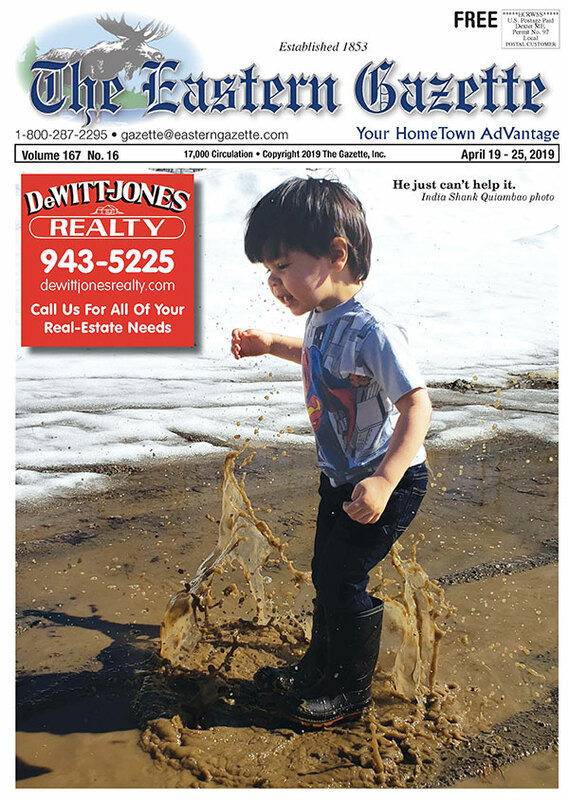 is a locally owned Community Newspaper delivered by U.S. Mail each week to every address in 21 towns comprising all of Piscataquis County, western Penobscot County and portions of Somerset County. The 17,000 circulation Gazette is the only publication in this area delivered every week to every address. The Eastern Gazette is designed to promote the interests of businesses and organizations serving the needs of more than 35,000 residents who receive the paper in this part of Maine.